Holiday rentals 'De Drie Koningen' features many services and amenities. 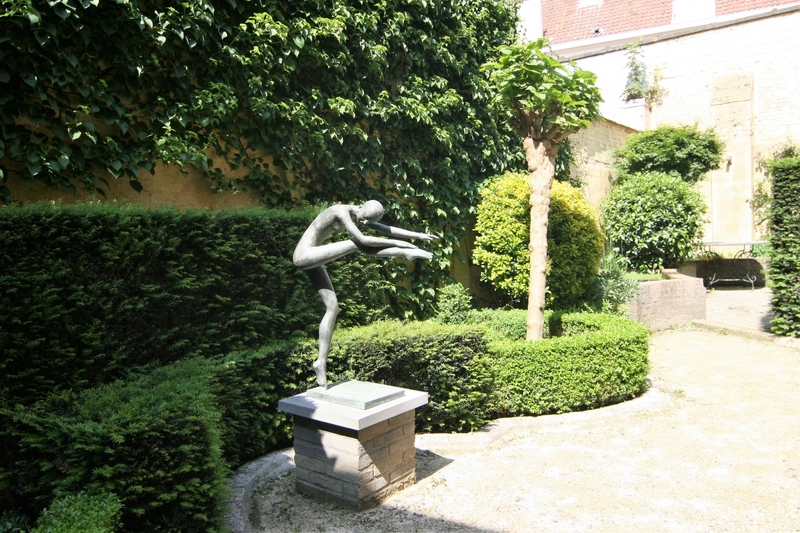 At ‘De Drie Koningen’ we want your stay in Bruges to be as pleasant and comfortable as possible. That’s why we offer many extra services and amenities which help provide a unique experience. ‘De Drie Koningen’ has 4 large parking spaces for rent: € 10.00 / day. It is recommended to book in advance. Organize your own beer tasting and discover more than 40 Bruges and Belgian beers in our ‘Honesty bar’ at very reasonable prices. Wines and soft drinks are also available. Every day our baker delivers to your door. Start your day with a delicious croissant or freshly-baked rolls. Each apartment has a digital TV with DVD player. There’s no need to bring your DVD’s with you: instead, browse through our in-house DVD collection offering more than 500 new and classic movies. Free wifi is available. Each apartment also has its own iPad with a unique email and FaceTime account. So you can always keep in touch with us or check our ‘Hospitality Desk’. In summer our outdoor swimming pool is open. Note that this is a modest pool of 3m by 5m – 1.5 m deep – and is only heated on summer days. A separate section on our website, only accessible to our guests. Here you get all the information about your apartment, De Drie Koningen and Bruges. This way you can plan your trip to Bruges and enjoy your stay as much as you can. You don’t need to be an athlete to explore the local region by bike. We rent electric bikes by the day. Our washers and dryers can be used for a small fee (€ 4.00 including washing powder and softener).